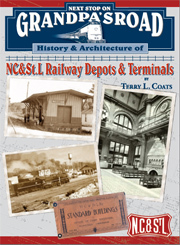 A history of the Nashville Chattanooga & St. Louis Railway with emphasis on the depots and other structures. The NC&St.L Railway was the first to charter and operate in the state of Tennessee. The road operated from 1845 until it merged with the L&N RR. in 1957.